We already gave you our secret for being the perfect guest. Now, we divulge the secret to being a great host. In today’s Home Tip of the Day, we share a few simple tricks that will make your guests feel at home (or even better, a hotel!). Do you have your in-laws staying for the holidays? Are you hosting old friends for the weekend? Try these simple touches and they may never leave! 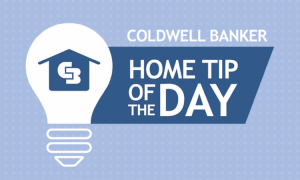 If you’re looking for other clever home tips & tricks, subscribe to Coldwell Banker On Location for the complete Home Tip of the Day video series. If you have a handy home hack, we’d love to hear! Post your tip on the Coldwell Banker facebook page. What do you bring to a dinner party when the host says he doesn't need anything? We share our secret to being the perfect guest. Hint: the answer to dust-free lampshades may be in your closet!